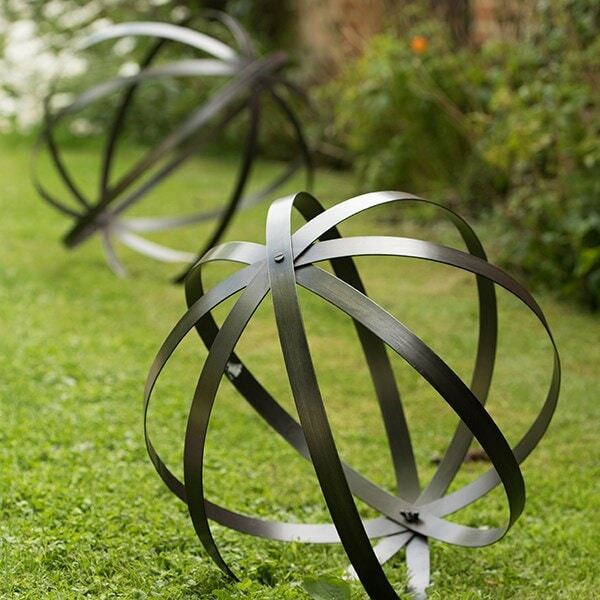 Evoke the spirit of the American prairie with these sculptural metal spheres. 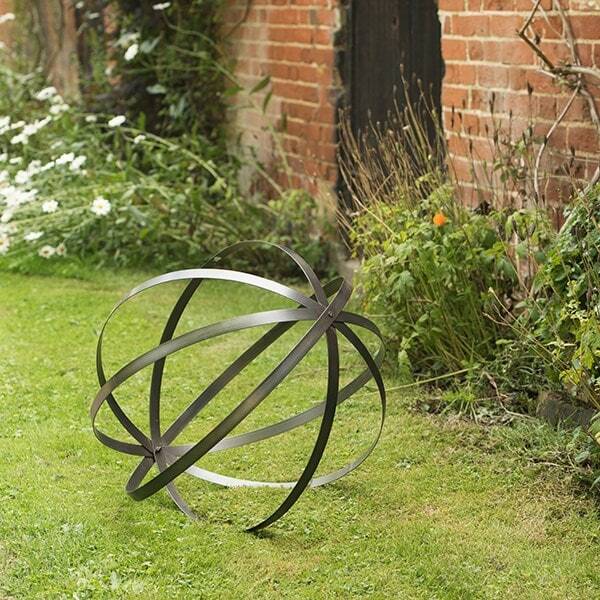 A marriage of vintage wagon wheel and stylised tumbleweed, they bring structure and style to any garden setting. Place them prominently with plants growing through or highlight with concealed garden lights to create a stunning focal point. 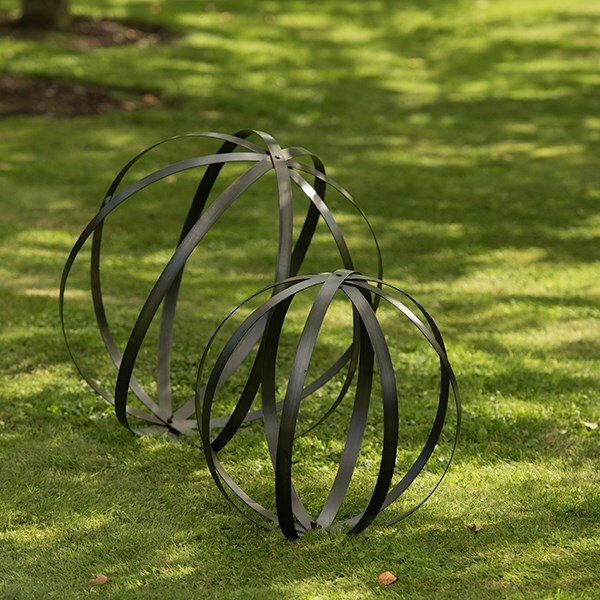 Made from sheet steel with a powder coated matt zinc finish, the spheres open out into shape and fasten with wing nuts, and can be folded down for compact storage when not in use.